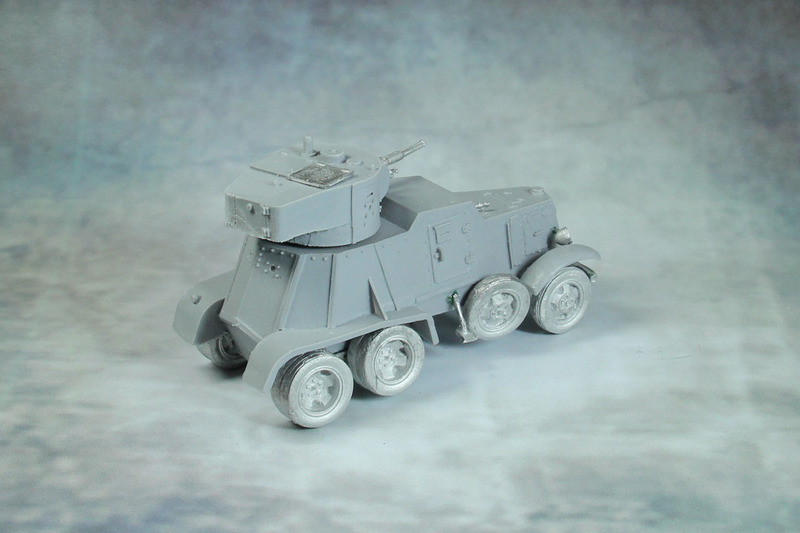 The assembly of the tanks, tankettes and armoured vehicles continues. Beginning with the BA-6, that will be part of my spanish carlist army for Bolt Action. The tires were quite tricky to build and some of the smaller parts were rather difficult to add to the resin body (to small to pin, to fiddly to glue properly). 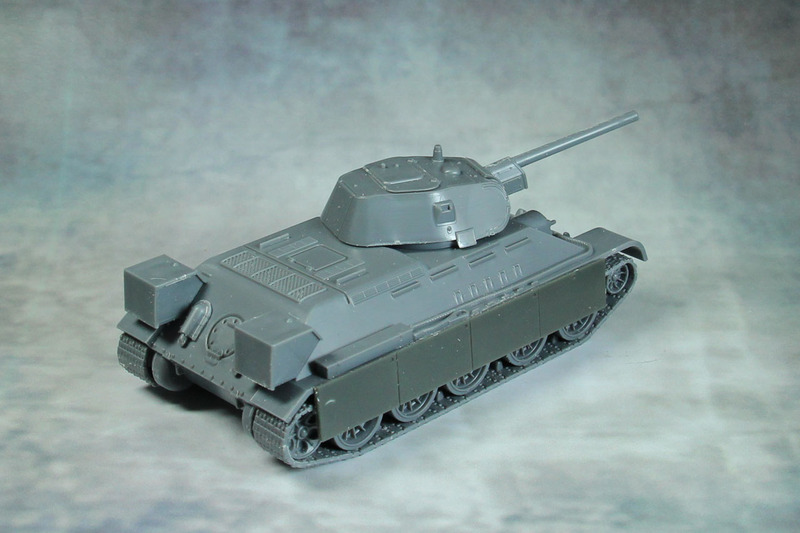 Next up is a T-34/76, the recently released Warlord Games version. 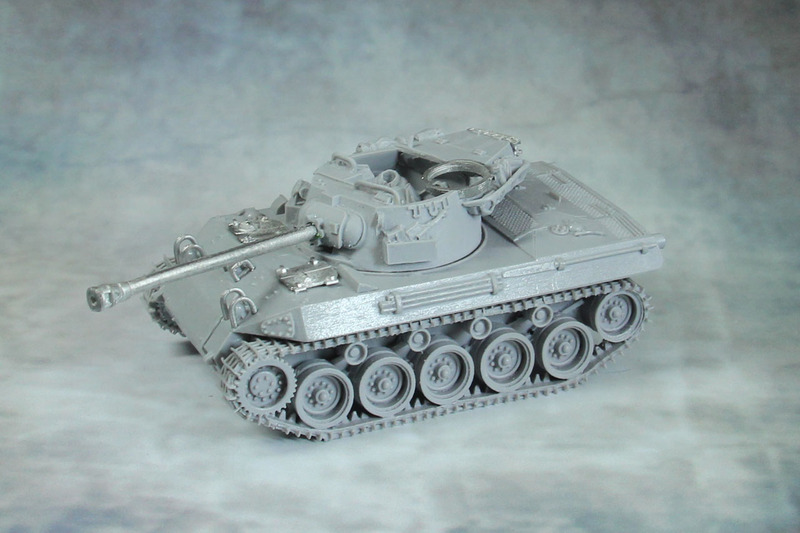 It shares a lot with the T-34/85 kit, and i decided to use it as a Beutefahrzeug for my late war germans, so its going to be Beutefahrzeug 747 (r) and added Panther sideskirts. I might add a german tank cupola, to round it up. Most likely this kit will later on get a FoE identification flag as part of the paint job. The M18 hellcat. The hellcat, the hellcat ... the hellcat! What a magnificant kit, really nice casting and details, an additional gun for the later builds. You will notice that the crew is missing. This is due to the fact, that i will cover the turret. I have seen rare pictures, where the turret is closed with a canvas cover, and i think i'll do that and maybe add a commander in the MG ring. 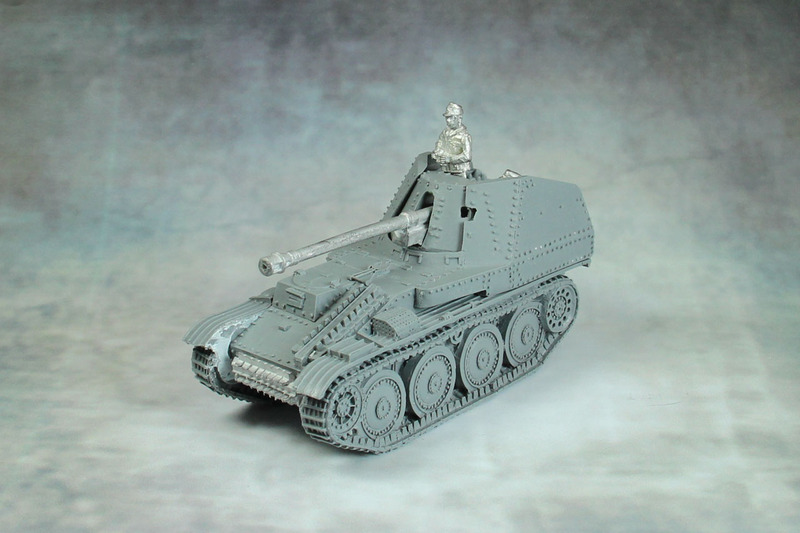 Last but not least, the Marder III. This kit wasn't easy, no assembly information and parts that i had really no idea where they would belong (or if they were just a mispack). The chains were warped heavily and i had to reshape them with hot water technique. Even after asking in the bolt action group at facebook (including Warlord Games customer service) i had no proper answer about some of the smaller hooks and eyelets. 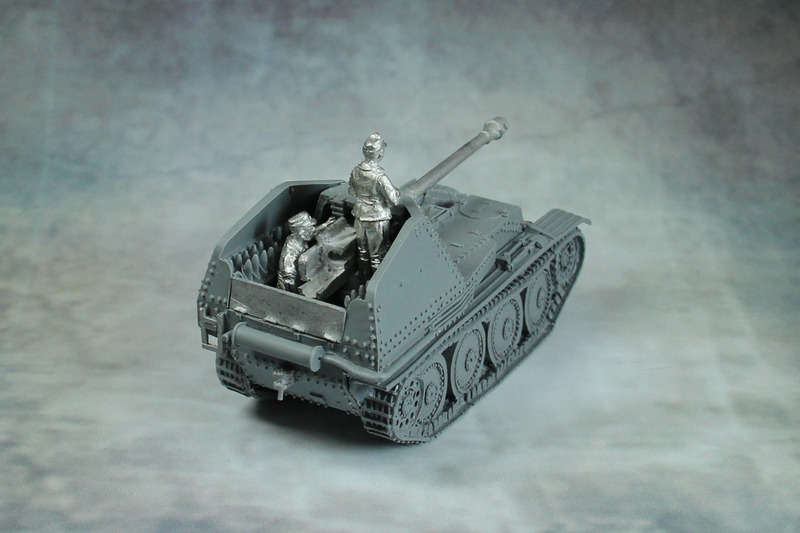 I exchanged the crew by some Perry Afrikakorps Tank crew, as this tank will be part of my Afrikakorps. So much for Part II, what's next on chaosbunker? Well, come back and see.